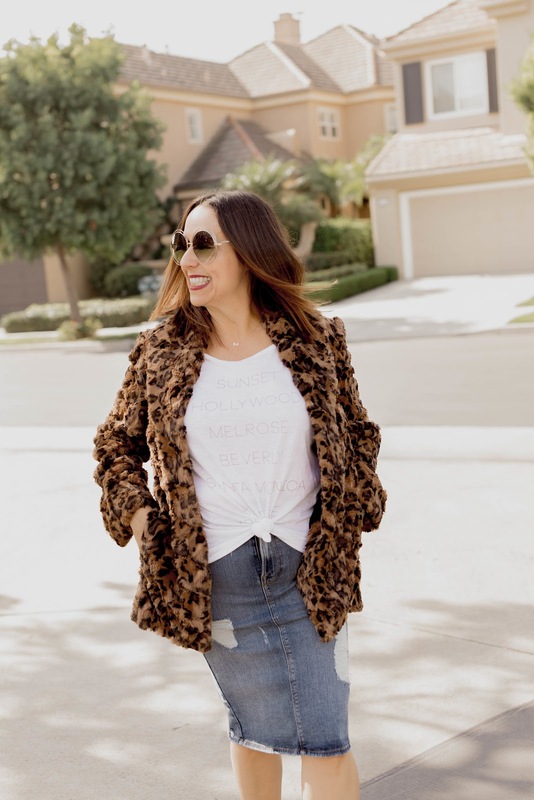 Don't you think winter is the perfect time to pull out your favorite faux fur jacket ? 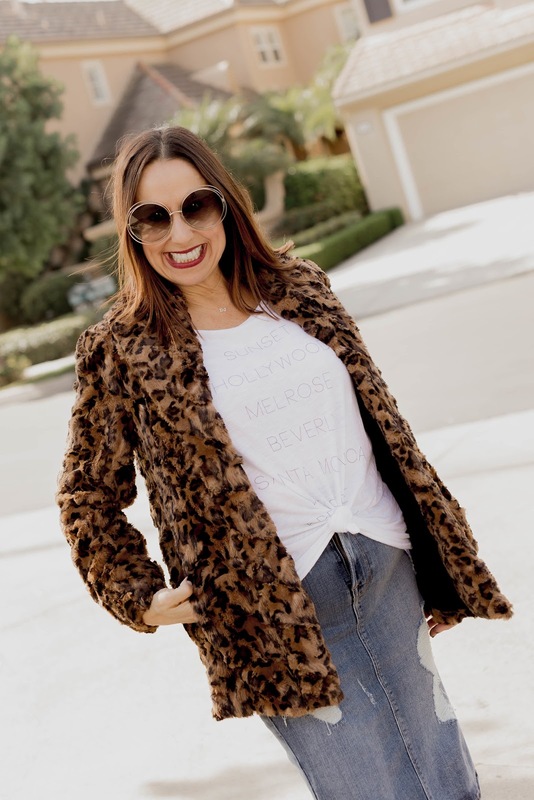 I am absolutely obsessed with faux fur and especially in a fun print, like leopard. It is such a statement piece and every fashion girl needs one in her closet. This look was inspired by my college friend Regina. She was one of my besties in my sorority and we lost touch after college. But just recently, we reconnected. For Halloween, Regina was Kate Moss and wore a cute leopard fur coat like this one, and paired it with a graphic tee and some booties. I loved this edgy look so much, I had to emulate it for a post. So this post is dedicated to Regina and Kate Moss of course. Grab some fur, your own denim skirt, a tee and some booties and you can look like Kate too!!!! Thanks to Gabi Wells for photos. You can shop this look by clicking on the links above. Happy Reading!!!! !